Online account monitoring and management has become an increasingly standard component of electricity retailers’ offerings in recent years, with mobile apps, in turn, providing consumers with on-the-go account access. The rush to mobile has been on in earnest across various industries, with the electricity industry no exception, with a number of new electricity retailers having emerged in New Zealand recent years, increasingly utilising online and mobile technology as part of their product offerings. The shift to mobile management has, of course, been fuelled by a rapid rise in smartphone usage, as evidenced by Roy Morgan Research figures released last year showing that 76 per cent of New Zealanders now have a smartphone. Further to this, New Zealanders are increasingly relying on their smartphones, with Roy Morgan finding that 40 per cent of smartphone owners stated that they “can’t live without” their mobile phones. In light of this, it makes sense that electricity retailers have been branching out into the mobile sphere, further developing their product offerings and providing customers various app-based services. Indeed, consumers looking to sign up with an electricity provider, or to change their current provider, should take into account, among providers’ various respective offerings, what sort of online and mobile services they provide. The introduction of smart meters has seen fundamental changes in the electricity market, providing retailers with further information on energy consumption, which in turn has seen the development of services focused on real-time usage. The smart meter rollout has been widespread, with figures released last year by the Electricity Authority showing that seven out of 10 New Zealand households had a smart meter installed, with 1.25 million smart meters having been installed at residential electricity connections. Now, from the smart meter to the smartphone, information on electricity usage is more accessible than ever, and retailers are using this information to deliver enhanced online-based product offerings, delivered via apps for on-the-go access. From the larger, established retailers to smaller, newly arrived market entrants, online monitoring and management has become a standard component of service offerings, with mobile app access a natural extension of this. The following is an overview of some of the app services currently on offer from electricity retailers in New Zealand. New Zealand’s largest electricity and gas retailer, Genesis Energy, offers a range of online services, with customers able to manage their account online by signing up for Genesis’ My Account. Following signing up for My Account, customers will be able to register for and login to the Genesis Energy Mobile App. Viewing electricity usage and getting an estimate of what an electricity bill is likely to be. Seeing past hourly, daily and monthly electricity usage. Paying bills by credit or debit card and setting up recurring card payments. Customers should note that certain app functions providing usage information require having a smart meter installed. Contact Energy customers can sign up for its My Account online service via its website, while its Contact Energy App provides for customers to “keep an eye on your electricity and gas account while you’re on the go”. Check monthly usage and daily average spend, and compare with the previous year’s usage. See daily usage for the last 100 days. View bills and payments for up to two years. Set up and cancel direct debits (excludes SmoothPay direct debits). Submit multiple meter reads in one go. 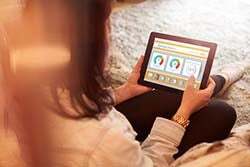 Flick Electric, which states it “is the first NZ electricity company to use smart meter technology and proprietary software to give customers access to the real-time, wholesale costs of electricity”, offers customers a number of online tools. Flick states that its Choice app, available for Android and iOS and which is free for all New Zealanders, “shows what the price of power is doing in real time so you can choose whether to consume electricity or not”. Flick states that it has been set up “with a lot of clever online tools to help you take control of your bill and manage your energy use”. “So to get the most out of these we reckon you should get online fairly often – and, what’s more, it’s mobile friendly,” Flick states. Powershop encourages its customers to “put power in your pocket” by downloading its mobile app, available for Android and iOS. Powershop sells “electricity in packs of power in varying sizes and costs called Powerpacks” via its online shop, rather than customers only paying for electricity once a bill has arrived, with its app allowing customers to check their usage and purchase power while on the go. 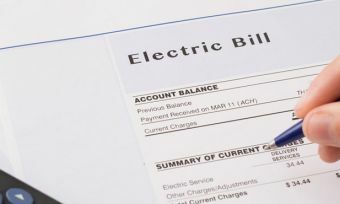 Globug, which offers a prepay electricity plan, providing for customers to pay for electricity as they go, has a range of online-based services. Top-up their account with a debit/credit card or internet banking. See an estimate of how many days of power are remaining. See how much they are spending on power – by the day, week or month. Time to go mobile with account access? With the smartphone having become a go-to hub of information for many consumers, energy apps can certainly provide convenience, potentially consolidating a range of information in one device. The challenge for retailers is to produce engaging and useful apps, providing for customers to make the most of the service. While for consumers weighing up the pros and cons of retailers’ respective offerings, mobile app support is certainly a factor worth keeping in mind. Consumers should research their options when it comes to choosing or changing an electricity retailer, matching retailers’ offerings, including mobile app support, with their household requirements.